Saudi King Abdullah ordered the establishment of an independent civil aviation authority and put its head in charge of the board of Saudi Arabian Airlines, a move that could help speed up privatisation of the national carrier. The decision came as part of a series of royal decrees published on state media that separated civil aviation from the Ministry of Defence and Aviation following the death of Crown Prince Sultan, who was also in charge of the ministry. The decree ordered all duties and responsibilities of civil aviation be transferred from the Defence Ministry to the General Authority for Civil Aviation, which comes directly under the king in his capacity as prime minister, Reuters reports. King Abdullah, who had spear headed economic reforms in the world’s top oil exporter, named Prince Fahd bin Abdullah bin Mohammed al-Saud as head of the new aviation body, which is likely to oversee the eventual privatisation of the airline and will report directly to the king. 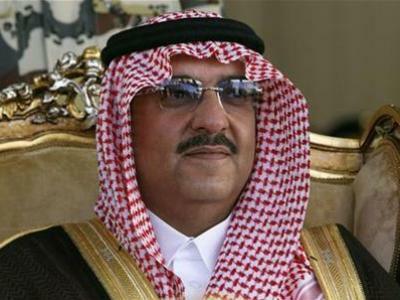 “He’s been in the sector for some time as assistant to the former crown prince,” said Hossein Shobokshi, a Saudi columnist. The king also ordered restructuring of the board of Saudi Arabian Airlines but names of the new board are not yet known. The Saudi government has been trying to privatise the airline, one of the largest in the Middle East, for many years. It launched the process in 2006 by dividing up the company into six units, with a view to selling each separately. These include catering, cargo, maintenance, airlines, flight academy and ground handling. “It is becoming economically a burden on the government to carry the file of the aviation sector while it needs to be reformed and restructured. It has to be done in a separate platform,” Shobokshi said. Saudi Airlines Cargo has been privatised, with 30 percent now owned by Tarabut Air Freight Service, while the ground handling services unit was merged last year with National Handling Services and Attar Travel Company. The airline, which has 137 aircraft in its fleet, said earlier this year it hopes to hold a much-delayed initial public offer of its catering unit estimated to be worth up to $540 million by end of 2011. The catering unit was first to be privatised, by selling 49 percent to investors in 2008 and is now completing requirements to offer 30 percent to the public. French bank Credit Agricole is advising on the planned IPO. The maintenance unit will start making arrangements to sell a stake later in 2011, officials have said. The chairman of the board, has said that the company was trying to restructure the airline unit before selling it, which he said will take some time before it can be privatised.